Hello Friends!! 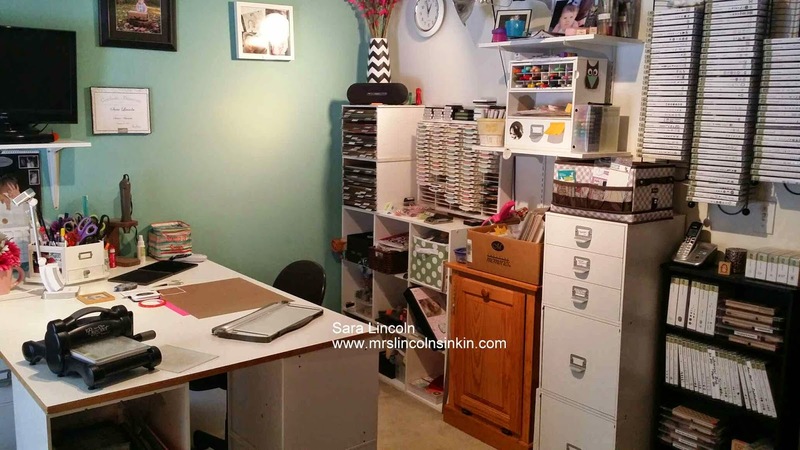 So, when my family and I moved in and we created my new craft space I was super excited and anxious to get my things out and get busy crafting since I hadn't been able to in awhile. Well, with that being said i situated things and didn't really think it through, lol. It wasn't really feeling like "my space". I don't know why.. i just wasn't as comfy and cozy like i was in my space at our hold home. With that being said, I had to do some re-arranging:) If you follow my blog then you know that changing my space is nothing new with me. As my hobby grows, so does the items in my room, lol, which means re-arranging. So, this weekend that is what the hubby and I did on Saturday... made me cozy again in my space. I did a video of my space when we first moved in, you can view that here. 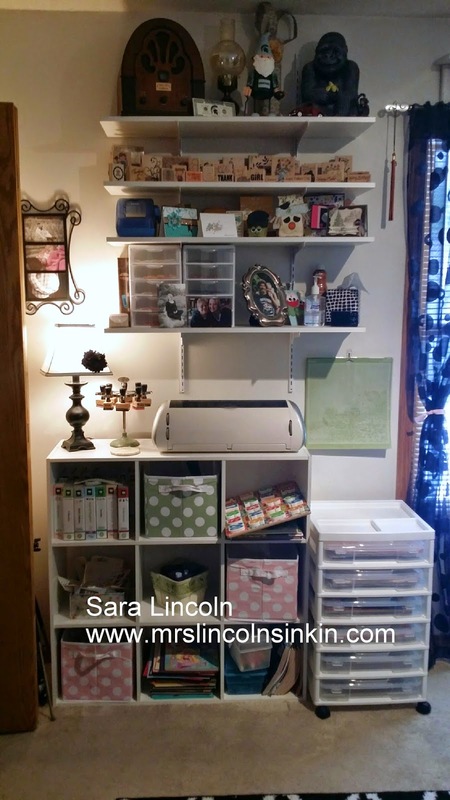 Then, if you would like to see my craft room(s) from throughout our houses you can click on the "My Craft Space" tab at the top of my page. 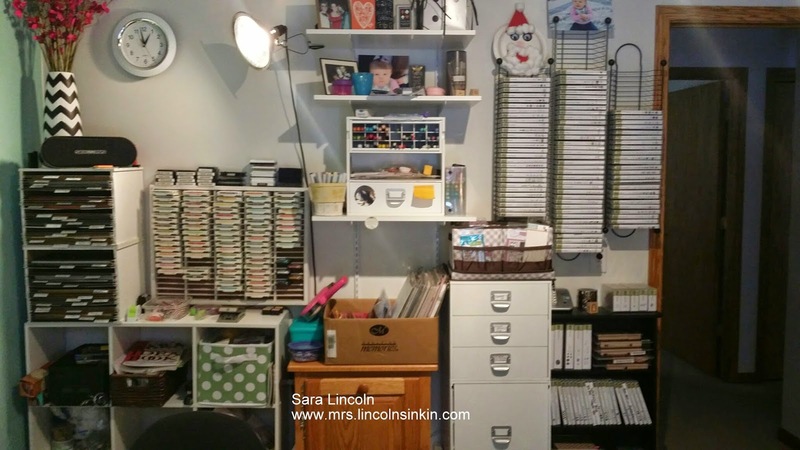 Ok, so today i wanted to share with you a few photos of my new updated space. There isn't a TON of changes but they were big changes to me, lol. Ok so this is what you see when you are standing in the door to my room. The first thing that you may notice is that my table is moved and it is shorter. The place where it was before had my back towards the door and that was driving my CRAZY!!! So I am now with my side to the door and i am directly looking out the window! I love it!!! I did have my table where i was standing at it 99% of the time... well that was getting old so we lowered it where now i can sit at it. Much, much better!!!! 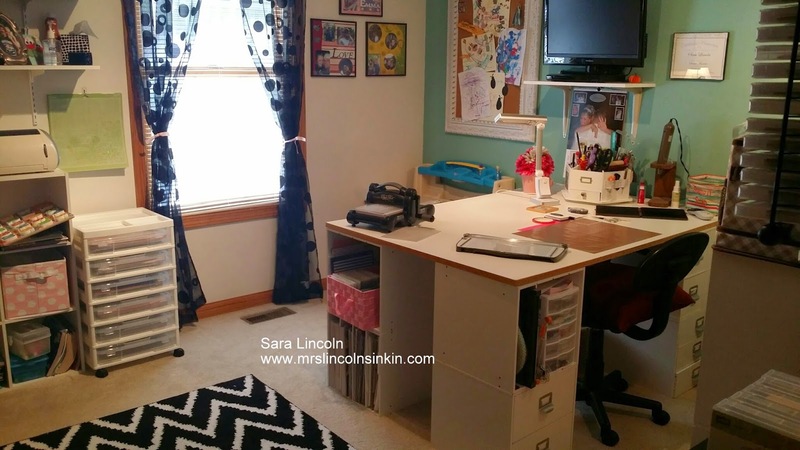 Here is looking at my desk area straight on:) LOVE IT!!! 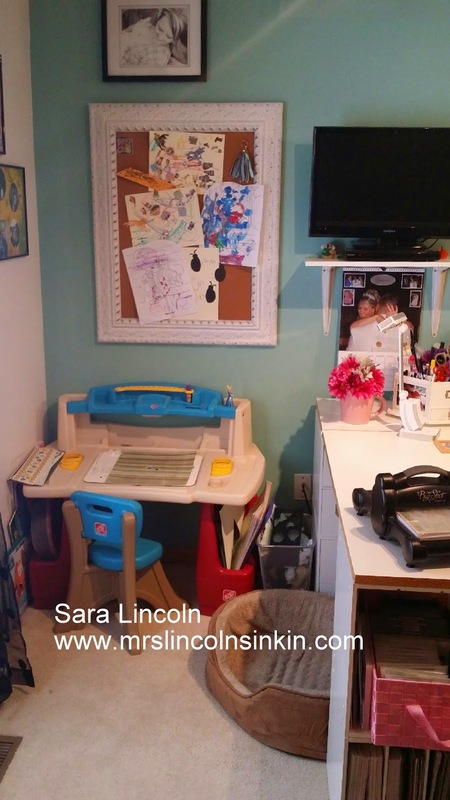 Right in front of my desk of course is my daughters area. She loves to craft almost as much of me:) We spend a lot of our time in here just being together and being creative. These large shelves is what my desk was originally sitting on to make it tall. Now that my cube wall is gone this fit there perfectly along with my new 12" x 12" paper sorter. The other shelf that was used to make my desk tall is still in it's original place, behind my sitting area. It gave me tons of storage so that i was able to have barely nothing on my desk... until i start creating, but made me feel not so cluttered.